Bifold doors are gaining in popularity. The traditional interior bifold type door is made up of two hinged sections usually hung from an overhead track inside the top of the door frame. The concept is taken a step further in full length doors that can replace traditional French or sliding doors with their exceptional advantage. 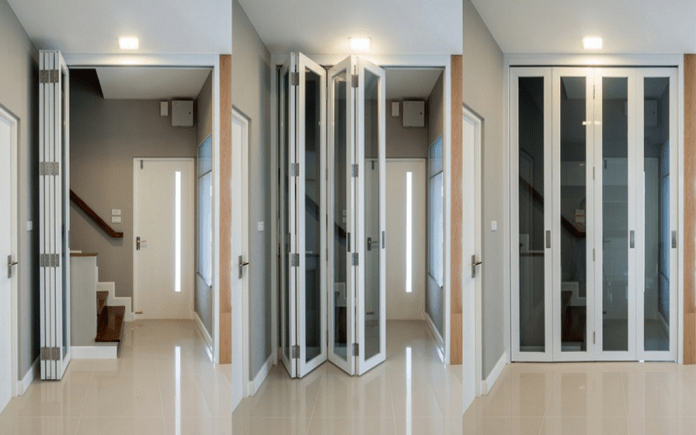 What are the uses of bi-fold doors? If you want to enhance your interior look then you can install the bi-fold door in your house. Apart from that, you can also operate these doors from a folding mode, and you can open one part according to your needs. These doors are basically not for the main entrance and these bifold doors are mainly installed in the room entrances only. 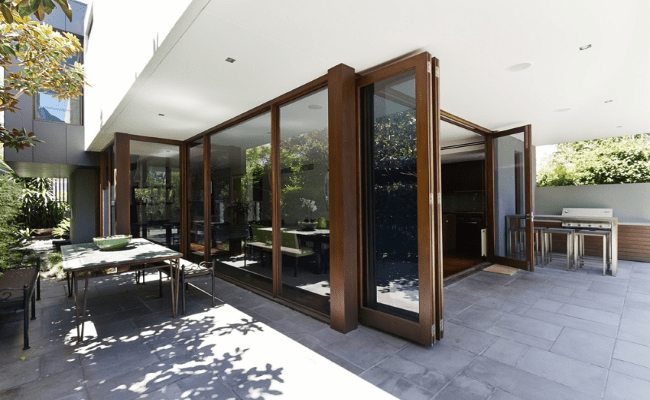 Bifold doors in several sections with an appropriate frame allow the house owner to fully open up one side or two sides for a completely open look. The view is better in comparison to sliding doors or French doors. Sliding doors, by the nature of their construction, only open part way, leaving one section of the wall covered. French doors have frames and paneling that can be obtrusive. With bifold exterior doors, the view is unrestricted when fully opened up. House owners are realizing the value addition bifold doors bring and these are now becoming more popular. Bifold doors are more affordable than sliding doors and completely open up the space while folding concertina-like into a compact space. One can use this property of the door for a beautiful view of the backyard garden in a more open way. A bifold door does not necessarily have to be in two sections. It can have several sections, that, when opened up, fold against each other into a compact size. This makes bifolds ideal for restricted spaces. By opening up the space entirely without any interfering frames, bifolds allow an unrestricted view and convey a larger impression of space. Wooden framed bifolds are beautiful but the frames must be thick. Where space is low one can opt for aluminum frames. Aluminum is structurally and dimensionally stable and is stronger while presenting a slimmer profile. Powder coated aluminum in various colors enhances the appeal. One can also consider UPVC as the frame material. uPVC is maintenance-free and users have a choice in natural wood grain finish or various colors. However, one needs to ensure quality material otherwise such uPVC frames can twist and warp when exposed to natural elements and weather fluctuations. Another advantage of bifolds, due to the simplicity of their construction, is that they are easier to install. Doors can be installed in one day. Manufacturer/supplier of the bifold simply takes the measurements, prefabricates it, transports it and sets it up within a few hours. A house can be enhanced by using bifold doors at two corners. When opened up the sense of airy spaciousness is just incredible and simply cannot be matched by French or sliding doors. Finally with bi-fold doors, one can have multiple leaves or just two to three leaves in the bifold. Big openings dictate the use of larger and multiple leaves while smaller openings can make do with just two or three folds. In any case, a strong, lightweight, slim profile frame means the bifolds fold up compactly. Aluminum best serves the purpose in such cases. Another important consideration while deciding on the number of leaves in the bifold is whether they should be odd or even in number. Odd numbers are preferable since one can open just one leaf if so required.